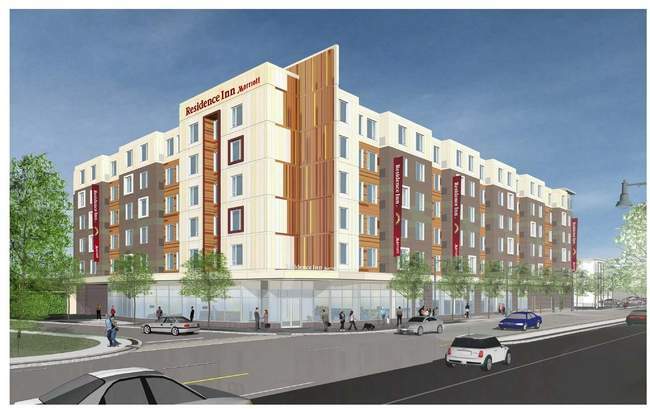 A rendering of the new Residence Inn by Marriott hotel proposed for Arsenal Street in Watertown by developer Boylston Properties. Watertown’s newest hotel has been sold for $71 million to a Texas-based real estate investment trust. The Residence Inn by Marriott on Arsenal Street was sold by Boylston Properties, the group that developed the hotel, to Summit Hotel Properties from Austin, Texas, according to a report on GlobeSt.com. Summit owns 77 hotels in 26 states, according to the report. Wonderful. Another property sold to folks who couldn’t give a damn about Watertown. Another vast profit without benefits to the community.